Featuring a special tribute to B.B. King and Sam Cooke. Born 1963, USA. Raised in Texas and Louisiana, while still a small child Bridges performed on stage with his father, guitarist Slim Hideaway Bridges. Briefly forsaking the guitar, he joined his brothers to form a gospel group, the Bridges Brothers, and he also sang with the choir of his local church. He continued to perform both sacred and secular music, the latter with his own R&B band, the Five Stars. In his mid-teens Bridges served in the US Air Force and in his late teens, military service now behind him, he sang and played in the New Chosen Singers and then the Mighty Clouds Of Joy. A later group was the Eugene Hideaway Bridges Band, with which he toured nationally from his Houston, Texas home base. He also visited Europe as a solo act, playing in France and the UK where he became popular first with the Memphis Blues caravan and later in his own right, becoming highly rated in blues magazine polls in both countries. It was a UK company, Armadillo Records, that saw Bridges potential and signed him in 2000. In addition to touring Europe, Bridges also visited Australia and New Zealand where he attracted enthusiastic audiences. 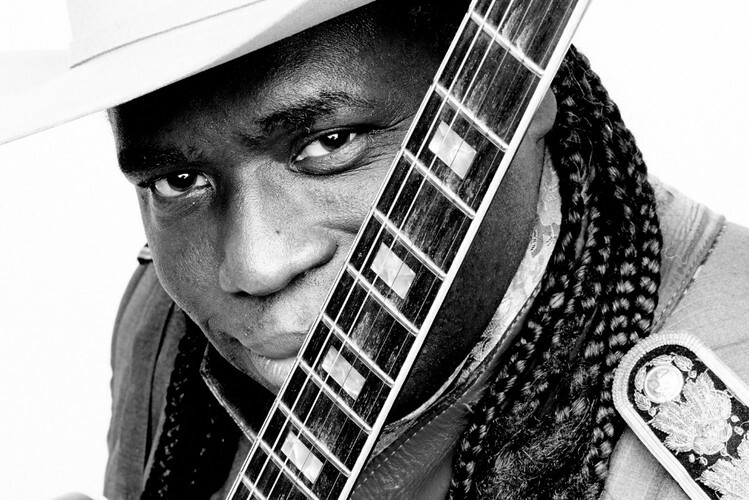 A vibrant and enthusiastic singer and guitarist, Bridges brings fire and intensity to contemporary blues, which he laces with hints of his gospel singing past.